Braintree and Boston, MA (May 3, 2017) – Peabody Properties continues to expand its portfolio of communities under its management, having added close to 500 units this spring. Taking a strategic and thoughtful approach, Peabody Properties is looking to add value with the company’s future growth strategies. During the month of April alone, Peabody Properties assumed management of Hewitts Landing in Hingham; an upscale residential condominium community, offering two and three-story townhomes including HMS Whitaker, USS Buckley, HMS Stayner and HMS Halsted. This community of 150 condominium homes sits on 28 acres of land in the adjacent waterfront Hingham Shipyard and is near shopping, a 500-slip marina, and proximity to the MBTA commuter boat. 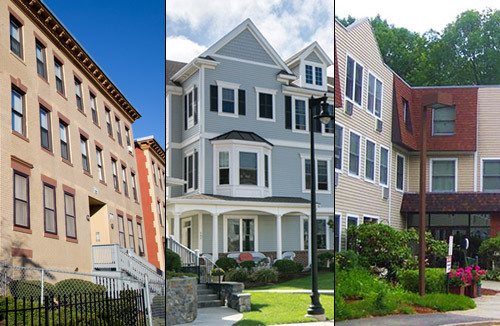 The Lorenzo Pitts, Inc. communities, a total of 219 apartment homes throughout the areas of Dorchester and Roxbury in five separate buildings; Lawrenceville Apartments, Crawford House Apartments, Gardner Apartments, Infill I & II, and Thane Street Apartments. These are one to six bedroom apartment homes which enjoy easy access to major bus and train routes; with shopping, restaurants, recreational choices, medical facilities and major highway routes all nearby. And, rounding out the month of April, Peabody Properties has been chosen to manage the Peter Sanborn Place, a community of 74 apartment homes for seniors in Reading, Massachusetts. 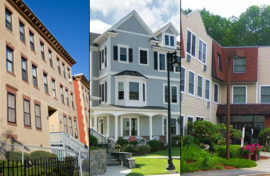 Melissa Fish-Crane, Principal and Chief Operating Officer at Peabody Properties, said, “Peabody Properties is excited to welcome these new and vibrant communities to our managed portfolio. We appreciate these new partnerships and the opportunity to deliver on our promise of adding value to our client’s investments, while enhancing the quality of life for the residents who call their communities home. We look forward to a successful collaboration, demonstrating our commitment to a platinum standard of excellence in all that we do”.